Taiwan Semiconductor Manufacturing Company or TSMC is set to remain one of Apple's most important suppliers in the years to come, according to a note to investors shared today by reliable Apple analyst Ming-Chi Kuo, who now works for TF International Securities. TSMC manufactures the A-Series chips that are used in Apple's iPhones. 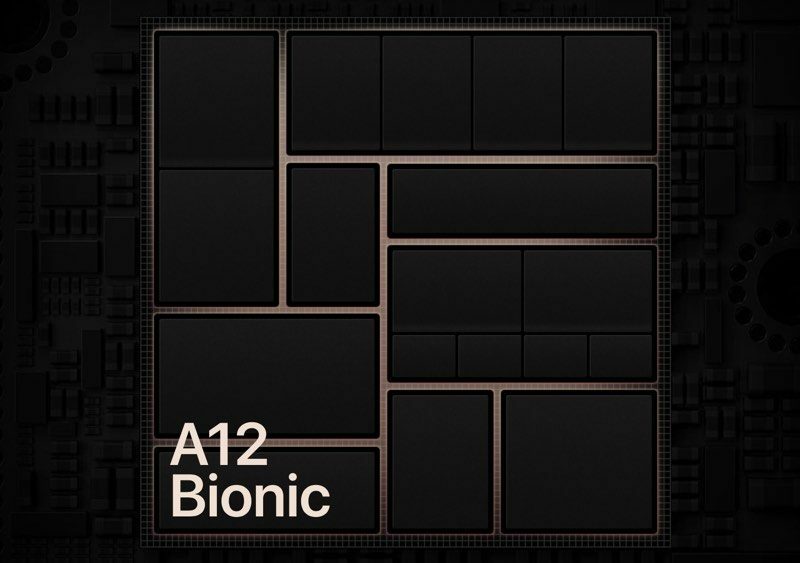 The company has been Apple's sole supplier for iPhone chips for a few years, and will continue to be Apple's only supplier in 2019 and 2020 for the A13 and A14 chips Apple is expected to use in those devices. According to Kuo, Apple will become increasingly dependent on TSMC in the years to come due to TSMC's "superior design and production capabilities" compared to its competitors and the fact that TSMC, unlike Samsung and other Apple suppliers, does not compete with Apple in other markets. In the future, Kuo believes TSMC will manufacture Apple-designed ARM-based processors for Mac models starting in 2020 or 2021. Rumors have suggested Apple is planning to transition away from Intel chips to its own custom-made chips starting as early as 2020, which Kuo reiterates in today's report. There are multiple benefits to custom-designed Mac chips, including no delays because of Intel's manufacturing issues, better profits, more control over design, and differentiation from competitors' products. Kuo also suggests Apple will recruit TSMC to manufacture chips for its upcoming Apple Car starting in 2023 to 2025. We believe that Apple Car's Advanced Driver Assistance Systems (ADAS) will support either Level 4 (high automation) or Level 5 (full automation). Only TSMC's 3/5 nm process can meet Level 4 and Level 5 chip requirements. In an August report, Kuo said that Apple will launch a full Apple Car in 2023 to 2025, reviving rumors about Apple's work on a complete vehicle. Prior to that report, it was believed Apple had shelved plans for a vehicle and was instead focusing solely on autonomous driving software that could perhaps be integrated into partner vehicles. Question: Why would Apple spend years redesigning the Mac Pro to release them on Intel chips in 2019 only to move everything to ARM in 2020? Either they're moving to ARM in 2019 or a few years later. If Apple can do for desktop chips what they did for mobile chips, then this is going to be amazing. This rumor keeps popping up. Apple is not making transitioning from Intel to ARM. A mobile processor is a far cry from a desktop processor. The reason for ARM in cell phones is that there were two camps ARM and MIPS. ARM won. The first smartphones were actually MIPS (Windows Mobile). For desktop processors see the new Xeon and Ryzen Thread Ripper for reference. Symetric processing, multilevel caches, multi-socket support, multithreaded, PCIe root complex with 48 to 64 lanes of Gen4 (by the time they would come out). The eco system for ARM existed in the mobile space. It does not exist in the desktop space. Yeah, I know there are ARM Windows devices, and Chrome OS laptops. I for one would not buy another MacBook Pro or MacPro if they had ARM. I use VMWare to run CentOS/RedHat x86 and I don't have a substitute for running that for chip design and simulation tools. I'd switch to a Windows machine. Emulating x86 on ARM would be too slow. I currently own a MacBook Air, two MacBook Pros, and a MacPro tower that I will not replace with that coffee can thing. If they release another tower with current Xeon or Ryzen chips, they can have my money. They can have my money as long as they stay intel compatible. Moving away from Intel compatibility, means I move away from Apple. The PowerPC to Intel transition had many benefits, including being able to use bootcamp (which was a lifesaver for our company). The question is, how difficult will it be for pro software companies to write for Intel and Apple Arm. Also, will we have bootcamp, or does that go away too. If Pro for Apple means only Pages and Numbers and a few other major developers software packages, it may be time to switch to Windows for all the Pro users (which makes me just sick). Apple has really screwed Pro content creators. I have a hard time trusting a leadership who have animoji faces. Unless I am mistaken, It seems that Apples reliance on TSMC is only growing. Should Apple buy the company? Or maybe put together a consortium like they did with Toshiba? No. TSMC is a massive hardware manufacturer with huge capital requirements. Apple doesn’t want to be in that business. Not only that, TSMC is worth over $200B. Apple can buy almost any company, but this is even too big for Apple with premium. This would be a really interesting development for macOS if it happens. I’m not sure if this would break compatibility with running Windows (via boot camp), which let’s face it, is one the reasons the Mac didn’t ultimately slide into oblivion. It will completely break compatibility. You would need to emulate the X86 -> Slow. Right now, Boot Camp works because Macs are X86. TSMC is the top of the heap when it comes to CPU manufacturing capabilities. The fact that Intel is still at 14nm for their mainline chips after so many years and all their resources makes one look at TSMC with serious respect. Apple has the right folks making their CPU's at this point. Frankly Apple could have taken their A11 based chips with small mods for desktop usage and started the transition from a performance perspective. It'll be interesting to see when Apple chooses to do this, seems we won't see any performance degradation (from Intel) and should see a serious increase in efficiency (battery life) - but there are compatibility and other benefits from running x86/x64 chips in their Macs. I think they’ll keep the Pro line using Intel initially. I wouldn’t expect Apple designed desktop level chips until 3 years from now, personally. They’ll likely start with a MacBook maybe the Mac Mini to test the waters. Will current apps on the Mac (intel) run on ARM-based processors??? OR will developers have to rewrite everything? Well it will vary on a case-by-case basis, but for a modern App written in high-level-language and relying on OS frameworks for hardware access (Metal etc.) it should be just a case of ticking "ARM" in the compiler settings and re-compiling. OK, so not everything will be that simple, but the need for major re-writes should be rare. MS already have Office on ARM (not the Mac version - but one would assume that lots of the code is shared so any major hurdles should have been solved). Adobe have just announced "full" Photoshop for iPad - and hence ARM (and I'm sure Apple will have given them the heads-up if MacOS on ARM is in the pipeline). Lots of other Mac developers are now offering iOS versions of their products (and, where possible, will have avoided having two sets of code). Also, MacOS is dropping 32-bit support after Mojave, so an awful lot of old, no-longer-supported applications and plug-ins aren't going to run on 2020 Macs anyway. Yes, for consuming content mostly. But creating is another story. I use a 38" ultrawide monitor and it just barely gives me enough room for all the windows my apps need to have open to do any work. Also use a 24" Wacom screen (weighs 58 lbs with its stand). Many associates run two to three 30" plus sized screens. Run drive arrays. Use PCI cards for various purposes, including array controllers, etc. If you are consuming content only, sure. I use a iPad Pro for email and web surfing, reading books, PDF manuals, checking the weather and watching youtube videos. Fine for being a consumer.